EVERY DAY, WE RECEIVE evaluation forms from our students. Nicole, from Morayfield in Queensland, is just one of many people from around Australia, who chose to do our Microsoft Word online training course in order to be “more productive in her current job”. The point of sharing the results of Nicole’s evaluation — and others from the past couple of months — is not to brag about how great our courses are, but to give you 100% proof that the EzyLearn learning experience is a good one. Let us give you 100% proof that the EzyLearn learning experience is a good one. Nicole found the Word training videos were great for demonstrating which keys to use and why. She strongly agreed that our videos were the right duration and she agreed that the Word course contents provided her with everything she was looking for. Like others, Nicole found that having the option to download the training manual in hardcopy was a great way to reiterate what she was learning online. Stacey, from Deniliquin in NSW, and Josie, from Aroona in Queensland, started our Microsoft Excel online training courses in February 2019. Both women undertook the Excel training with us in order to be “more productive in their current jobs”. Stacey told us that she found the enrolment process to be simple and fast. She also found the Learning Management System easy to navigate and the training workbooks easy to understand. For Stacey, the assessment questions and knowledge reviews provided a valuable way of going over material again if she didn’t understand it. She said she would definitely recommend our Excel course to a friend. Josie believed the course support to be the very best feature of learning with us. Our most popular online courses are MYOB and Xero. Quickbooks is also increasing in popularity. Justine, 44 years, completed our Quickbooks course in February and rated it 5 stars. Lisa Calabrese, 39 years, from Hectorville, South Australia, completed our MYOB AccountRight course, as did Jane Pratikna, 34, from Macquarie Park in NSW and Huyen Nguyen, 29 years, from Mitchell Park in South Australia. All three EzyLearn students found the MYOB AccountRight training course “very easy to understand”. Huyen said he found the videos particularly easy to follow with good explanations. He also said they were of just the right duration for him. For those of you who don’t know, our Xero course introduces you to Jerry, and proceeds to take you through his realistic journey as he builds up his first and subsequent businesses. We base his experiences on real-life work, business and every day scenarios as we update our course content and integrate our highly popular software accounting courses with business start up ones. When asked whether there was anything we could do to improve our Xero course, Kelly responded: “I can’t think of anything; it’s a great little course!” Another Xero user shared that she learned “several new things about Xero” as a result of doing our course. administration, users, design (including helping you work out the best WordPress theme and maximising the use of it) — and, of course, backing up your WordPress site. Mary gave us 5 out of 5 stars: “I don’t know how you’d improve on the courses — they were very informative,” she writes. The short duration of each video allows the course to be completed at your own pace. It’s easy to take a break if required. 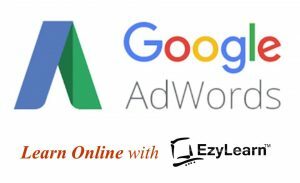 EzyLearn courses also come with detailed course workbook. It is easy to see the content and costs for our courses. Enrolment and starting is quick and easy. Our learning management system is easy to navigate. Our correspondence and support is prompt and professional. If you are considering learning something new or brushing up again in order to find work or up-skill in your current job, it would be our privilege to train you up! Check our current prices; these prices include all discounts for our current special offers. Next Next post: Should You Send Reports to Late-Paying Clients?